If you live in or own a property in California and facing Foreclosure, please see below for the foreclosure process. When you develop a definite plan of action with well-timed, well-informed steps, you can stop the foreclosure process and save your home. We have outlined the foreclose process for the state of California. 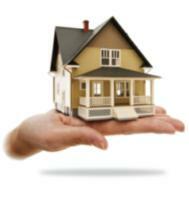 Typically, a title insurance company is named as the trustee to arrange the sale of the real estate. California is famous for its one-action rule, in which a lender must carefully elect one action to take against the borrower if the borrower defaults. If the lender forecloses the deed of trust out of court, the lender has chosen one action and may not bring a lawsuit to recover a deficiency, which would be a second action. If the lender chooses to sue the borrower and obtain both a foreclosure order, and if the proceeds of the judicial sale of the real estate are not sufficient to repay the loan balance, then a deficiency for the balance. Such a suit is permitted as the lender’s one action. California lenders rarely elect judicial foreclosures. The notice of sale must contain the name, street address and phone number of the trustee conducting the sale and the original trustor, along with a statement warning borrowers that their property is about to be lost at a public foreclosure sale and to contact a lawyer for an explanation. The notice must give the street address. If no street address exists, the notice must state the address of the beneficiary from whom a set of directions to the property may be obtained if they are requested in writing within ten days from the first publications of the foreclosure notice. A copy of the notice of sale must be posted in a conspicuous place on the property to be sold at least 20 days before the sale. If access to the property is restricted by means of a central guard gate, then the notice must be posted on the guard gate. A copy of the notice must be posted at one public place in the city where the property is to be sold (or judicial district in rural areas) at least 20 days before the sale. A notice of trustee sale must be recorded at least 14 days before the sale. A notice of trustee sale must be mailed by certified mail, return receipt requested, 20 days before the foreclosure sale to the borrower, to anyone who requests notice or recorded a request and to the trustors, beneficiaries or parties at interest. All sales under a power of sale in a deed of trust will be made between the hours of 9:00 a.m. and 5:00 p.m. on any business day, Monday through Friday, at the time specified in the notice of trustee sale. The sale shall commence at the location specified in the notice of sale. The sale must be made a public auction to the highest bidder. The trustee has the right to require every bidder to show evidence of ability to pay the full bid in cash, cashier’s check or certain bank checks. Each bid is by law an irrevocable offer to purchase. However, a higher bid cancels an earlier bid. It is unlawful and a criminal offense (a fine of $10,000 or up to one year in jail) to offer anyone consideration not to bid, or to fix or restrain the bidding process in any manner. Sales may be postponed by announcement at the time and location specified for the intended sale. The borrower may postpone the sale in order to obtain cash, provided the written request for postponement identifies source from which the funds are to be obtained, and the postponement is only for one business day. The borrower may obtain one such postponement. Debtors may reinstate up to five days before non-judicial foreclosure sale. A borrower’s right to redemption is terminated when a deficiency judgment is waived or prohibited. When redemption is permitted, after judicial foreclosure, only the borrower can now redeem and junior lien holders or "redemptionors" may not. When the lender is permitted to seek a deficiency, elects to pursue a deficiency and forecloses judicially, the borrower may redeem 12 months after sale, but a full credit bid by the lender cuts it to 3 months.